The votes are in and decorating with shiplap is here to stay! Shiplap can add texture and appeal to any part of your floor plan. This multi-functional material goes perfectly with today’s popular homey, comfy, and rustic designs. Everyone loves the look of fitted barnwood, but how can you make yours shine in a special way? 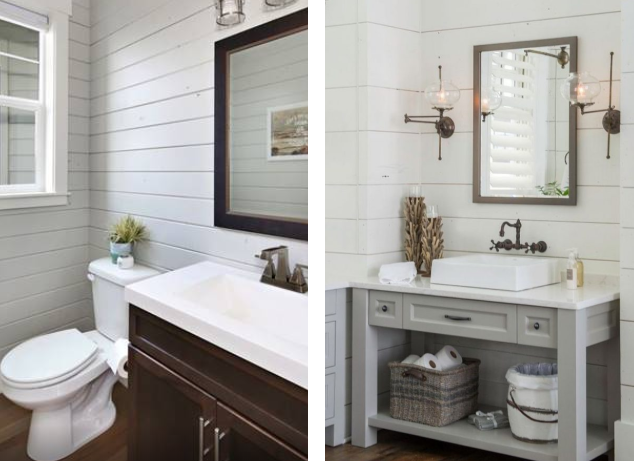 Check out these trendy ways that our customers are decorating with shiplap – then get to work creating your own amazing design! 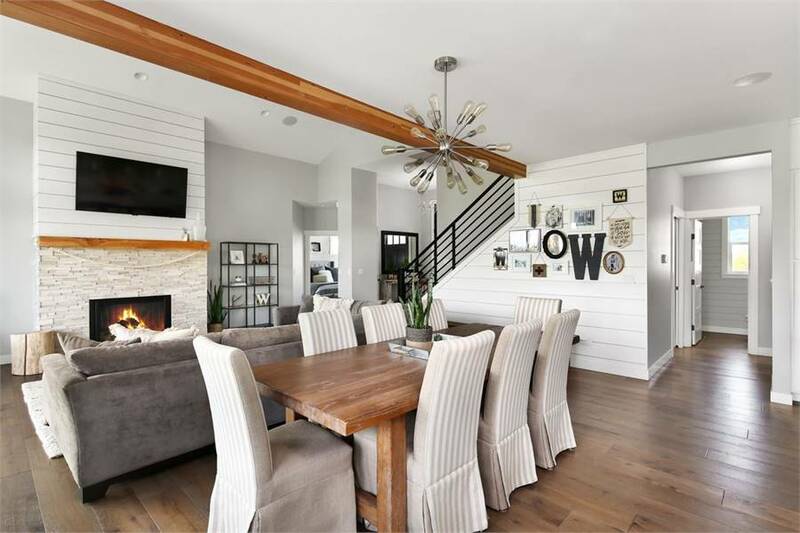 Find the perfect modern farmhouse to start decorating with shiplap! We know you’ll find one you love! 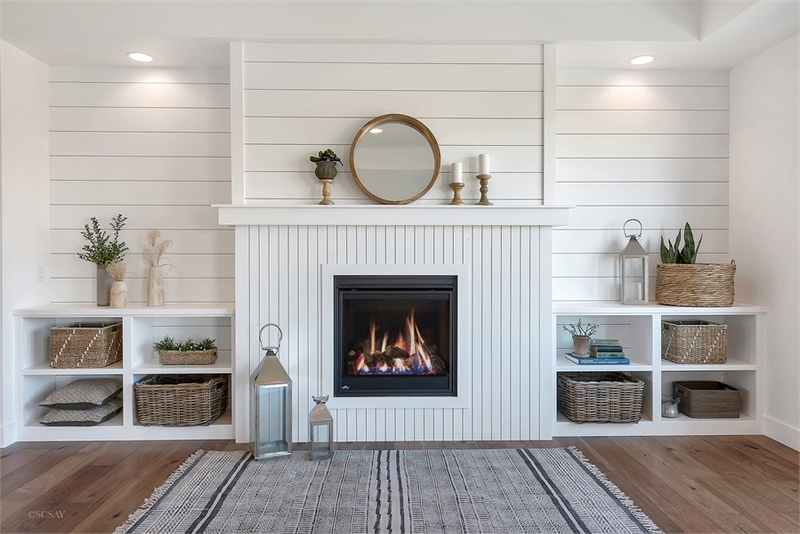 Spruce up your new or existing fireplace with a shiplap surround! Remember to pay attention to detail when creating your modern farmhouse’s fireplace accent. Use boards with varying dimensions, as this will add eye-catching appeal. Similarly, alternate between hanging your boards horizontally and vertically to create depth. See how somebody did this above – cute right?! Your shiplap accents don’t have to be at eye level. Try giving texture and interest to an otherwise drab ceiling. 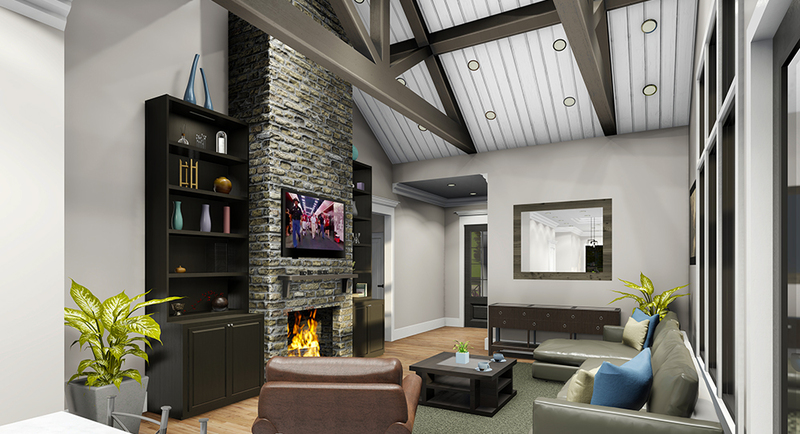 Shiplap ceilings are all the rage, and they aren’t going anywhere anytime soon. 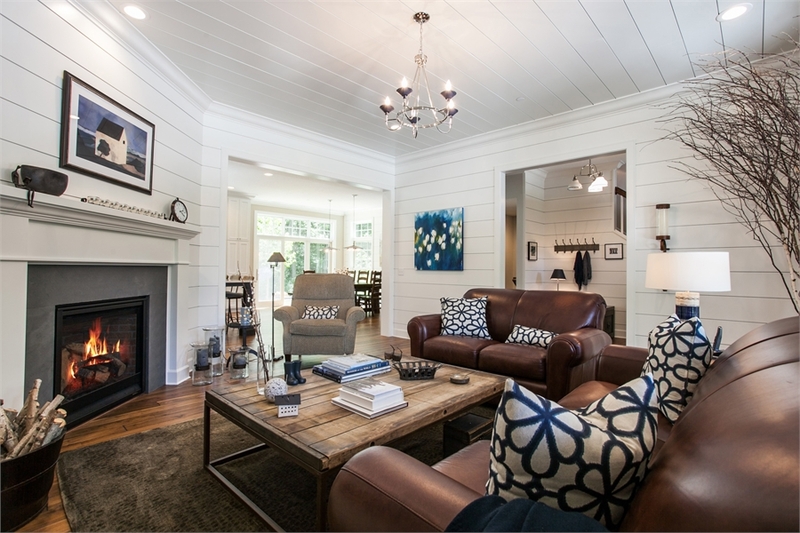 So, take a leap and create a room of interest by hanging your shiplap overhead! Friends and family will love this decorative attention to detail. Tiny and often overlooked places, like bathrooms, deserve some love too! Don’t let your tiny rooms be forgotten. Smaller rooms can often feel dark and cramped, so add interest to these little spaces and keep them from falling flat by decorating with shiplap. Because shiplap is typically painted white, your room will remain bright and airy, while the rustic texture breathes life into it. You’ve heard of an accent wall, but have you seen one like this? Forget wallpaper or paint – shiplap is the new on-trend accent you’ll love! Whether you’re accenting a small space to add interest, or an entire wall to add depth, this wood feature will bring a warm and cozy feeling to your home. Shiplap Over Here, Shiplap Over There… Shiplap Everywhere! Why stop at an accent wall? Experts say this trend is here to stay, so embrace it! 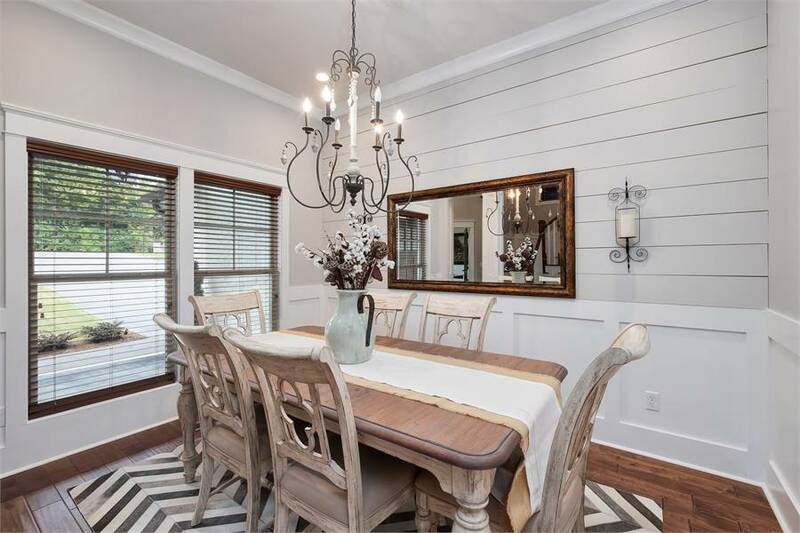 Put shiplap on your ceilings, put it on your walls! Shoot, put it everywhere! Honestly, it’s adorable, and we know your friends and neighbors will feel the same. They’ll be begging you for design tips and tricks from the moment they see how you’ve decorated with shiplap in your new modern farmhouse! Looking for more decorating ideas? We’ve got you covered. Check out How To: Create an Incredible Kitchen and Your New Master Suite Becomes an In-Home Spa for pro tips on enhancing these important rooms in your home! Bookmark this article Decorating with Shiplap – A Modern Farmhouse Must!